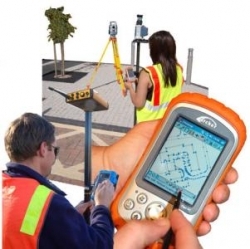 Mobile Land Surveying – Page 2 – …local land surveyors in Mobile, Alabama. Photogrammetric surveying In the Office, photogrammetric surveyors deal with cutting-edge software and state of the art machine. 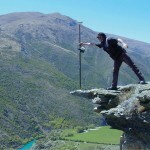 Boundary Surveying These are land surveyors who do in depth reference research studying maps and boundaries spanning centuries. Construction Surveying Within the area, construction surveyors are the power behind any growth; these people team up with engineers to ensure that the structures are constructed within its area and coincide with the type of land where it’s built on. Hydrographic surveying Hydrographic surveyors take their work to the lake or sea, determining depths, borders, and a lot more. 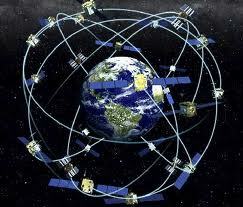 Geodesy involves surveying where you can acquire specific dimensions for satellite. 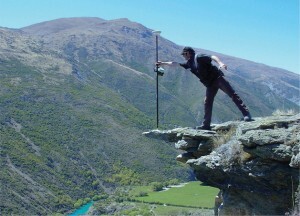 Land Surveyors may also find themselves inside the court room. They also perform a vital role in providing expert testimonies with regards to boundaries or even in assisting crime scene cases which involves land. FEMA’s Flood Insurance Rate Maps (FIRMs) are issued after a flood risk assessment has been completed or updated for a community. This study is known as a Flood Insurance Study. The FIRM shows the Base Flood Elevations (BFEs) and insurance risk zones in addition to floodplain boundaries. The FIRM may also show a delineation of the regulatory floodway. Once the “insurance risk zone” (commonly referred to as the flood zone) is determined, actuarial rates, based on these risk zones, are then applied for newly constructed, substantially approved, and substantially damaged buildings. FEMA uses these rates to determine the insurance rate you will pay for flood insurance. To view these maps online, go to FEMA’s Map Service Center and enter your address (hi-lited area shown here) search for your home. This will allow you to then select the map that covers your area. The Flood Maps are somewhat cumbersome to use online. I suggest going through the tutorial on the bottom right of the address search page in order to learn how to maneuver around in this GIS map. If you are located in the City of Mobile, you might also check out the Mobile Interactive GIS maps for more information and a little easier interface. Check the FEMA Flood Insurance Rate Map box on the left to view the flood zones on this map. Call Brandon Bailey, PLS at (251) 281-2081 or better yet send us a contact form request if you need help with this process or if you discover you are near a flood zone and need an elevation survey completed. We are here to help you minimize your flooding risk. For an up to date and accurate land surveying service, contact Brandon Bailey, PLS at (251) 281-2081 or better yet, you may fill out our contact form request and a licensed land surveyor will contact you.